When the evening begins to set in whilst you are enjoying the great outdoors, you are not going to be able to just reach over and flick on the light switch. 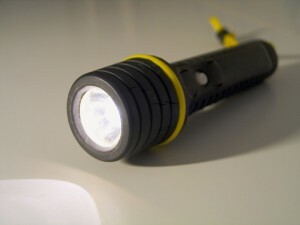 You will need to have some form of portable lighting with you, as in a flashlight or torch. There are many different forms of lighting you can take on a camping trip, each with its own benefits and disadvantages. 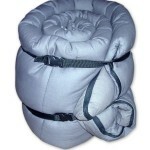 The first step in choosing your camping lights is to decide what you are going to need it for. Torches tend to be lightweight and durable. This makes them ideal for walking to and from the toilet block or spotting guy ropes in the dark. There are different types of flashlights. In general, the more you pay, the more durable and powerful the torch is. 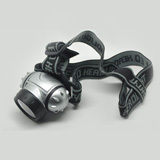 We have round up some flashlights for different purposes, so dive in and start getting ready for your next adventure. View our best torches we recommend for camping and general use. A roundup of some nice torches for kids. Some torches for those more adventurous campers and hikers. Think what you will use the lamp for and what will be the maximum distance that you will want the beam to reach. If you do a lot of night navigation you will want a good beam, but for general camping it is not really necessary. Power is very closely linked to battery life, longer beam means more battery drain. There is also the issue of regulated or unregulated LEDs. Regulated LEDs provide a constant beam length for a shorter time while unregulated LEDs provide a gradually diminishing beam range for a longer time. A torche’s battery life is more of an issue for those going on long trips where fresh batteries will not be available than those weekend trips. Long camping trips require an energy efficient lamp. Replacement batteries cost money so burn time is a factor, although this can be greatly reduced by the use of rechargeable flashlights. Another idea is to get a wind up dynamo torch such as 5 LED USB & Wind Up Dynamo Torch which is eco-friendly. It’s obvious but consider for what you will be using your torch for. If you are car camping you might not be too concerned with the size and weight which means you can buy a large and sturdy torch or lantern. If you are hiking on foot with your camping gear or simply want something compact, it is recommended to buy a small torch such as the FlashXtreme 9W Pocket Torch or the Pathfinder 21 LED Headlamp/Headlight. Depending on the features the cost obviously varies. Decent torches start at around £3-4/$8 and can go up to £40/$60+. It will all come down to what you will be using your flashlight for and your expectations in terms of quality are. Consider the cost of replacing batteries. A wind-up torch can save you money over time and will work until the end of its days. We hope this gives you a better idea of what there is to consider. A torch is an essential piece of camping gear for every camper and tends to be with you for quite some time. It is worth investing in the right one that suits you needs. Whether you are a motorist needing an emergency torch, house owners rummaging in a dark shed, or just walking from the campsite to the country pub for a tipple – make sure you give yourself every opportunity to see and be seen. Jeremy has written 5 articles on CampTrip. Jeremy loves camping, travelling and technology. He works as a freelance web developer/designer while travelling the world. Jeremy can ALWAYS be found on his laptop. If not on the laptop he's taking photo's, learning new things or downing coffee. No responses to "Camping Torches"